Trafalgar Animal Hospital has been serving our clients from the same location for over 50 years. Prior to becoming a veterinary hospital, the clinic was an orchard building. On February 1, 2011 Dr. Savanna Cahill became owner of Trafalgar Animal Hospital. Dr. Cahill had been an associate at the hospital for almost two years before taking ownership. The staff at Trafalgar Animal Hospital is a group of dedicated professionals. Together we provide the highest quality care you and your pet can receive. We understand that your pets are close family members, which is why we pride ourselves on treating our clients with the utmost care and compassion. Practicing veterinary medicine is an honor and a privilege that is very dear to my heart. I have had the opportunity to serve patients and clients in practices in Tennessee and Ontario since May 2000. Originally from Rogersville, Tennessee, I grew up in the rural Appalachian mountains. We had many pets and farm animals, and my love for them, science, and problem solving culminated in my desire to become a veterinarian. Attending the University of Tennessee in Knoxville, I completed a Bachelor's degree in Animal Science in 1996, and I received my Doctor of Veterinary Medicine degree in 2000. After two years of practice, I moved to Ontario, learned to drive in the snow, eat poutine, and watch hockey! I consider myself very blessed to be able to help people and pets build life-long, healthy relationships. Everyday I get to work with amazing staff and families...people that are truly committed to the health and well being of their furry family members. Celebrating these relationships is my mission, and I look forward to embarking on your celebration journey with your pet(s)! Dr. Loh graduated from the Ontario Veterinary College in 1999, and has enjoyed working at the Trafalgar Animal Hospital for a few years now. In addition to medicine and surgery, she has also enjoyed working in veterinary emergency hospitals. She is married to Alvin, and has three boys and a family dog. In her spare time she enjoys training for triathlons and taking part in an occasional race between her kids sports schedules. She has been a board member for Christian Veterinary Missions since 2007, and has been on mission trips to both Europe and Africa. 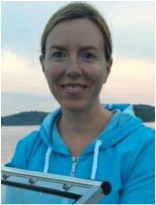 Jennifer graduated from the University of Guelph with a biology degree before attending the Ontario Veterinary College. She graduated with her veterinary degree in 1995 and was the first recipient of the Gentle Doctor Award. As a child she showed hunters and jumpers and spent most of her time with horses, dogs and cats. Before graduation she worked at a small animal hospital, swine research station, dairy farm, horse stables, birds of prey center and at a mixed animal practice before settling in with dogs and cats. Her husband is a zoologist so family outing often involve mist-netting birds and catching dragonflies. Before children she worked in small animal emergency medicine but has enjoyed family practice for many years since. Her special interest is veterinary dentistry and surgery but her passion is helping families enjoy their furry animal friends. She has children in university and high school. 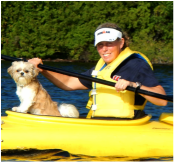 Her free time is spent with her dog, Tiny, and running, swimming and cycling for triathlons as well as spending time on and in the lakes of Haliburton. Linda started at Trafalgar Animal hospital in 1978 and can honestly say she has a genuine love for her job. She has always had a passion for animals, and enjoys all aspects of providing excellent service and care to our patients. Her favourite part of her job is interacting with our wonderful clients and their four-legged family members. In Linda's spare time she enjoys her own furry family consisting of 2 cats and 3 dogs. Linda likes the outdoors, walking, hiking, travelling, and hanging out with her family (especially her two grandsons), and friends. ​Rickie has worked with us for almost 30 years. She says she's stayed around so long because she loves the great clients and their pets and it feels like one big family. When the weather is nice she enjoys being outside in her yard and gardening. Rickie also enjoys relaxing with her husband and her children and playing with her grandchildren. Rickie has two cats, Muskoka and Brody, and enjoys spending time with them as well. ​Vanessa graduated from Northern College in 2010 where she took an extra year studying Veterinary Technology - Wildlife Rehabilitation. The summer of 2010 she travelled to South Africa with an organization and gave free health care to the animals in the small town and worked with wildlife on the reserves. She has a standard poodle and a rabbit. In her spare time she enjoys hiking and hanging out with her family and friends. ​Michael is currently studying Biology and is in his fourth year of university. Michael enjoys working with animals and has a dog and cat at home. His other interests include fixing up old cars and playing the bass guitar. ​Judah has been working at the clinic since he was 8 weeks old. He enjoys meeting people and their pets. When he is not napping in Dr. Cahill's office you can often find him on the front bench with his head on your shoulder. Judah's favorite pastimes include napping, hanging out with his cat friends, going for long walks, and fetching anything that is thrown. 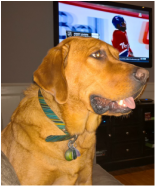 Judah has also become a local celebrity with his appearances in Dogs of Oakville, Cats of Oakville, and several editions of Snap'D. Judah is also a big Montréal Canadiens fan.